An 11-year-old boy made an appearance on 'Jimmy Kimmel Live!' last night and showed off his unique talent. 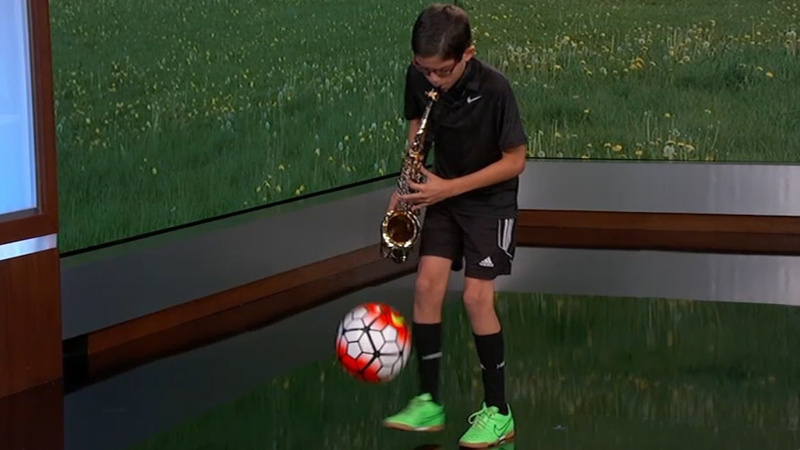 Jonathan kicked a soccer ball while he was playing George Michael's 'Careless Whisper' on his saxophone. Jonathan was discovered on YouTube and his videos can be seen on the Football Gugglerz' channel.